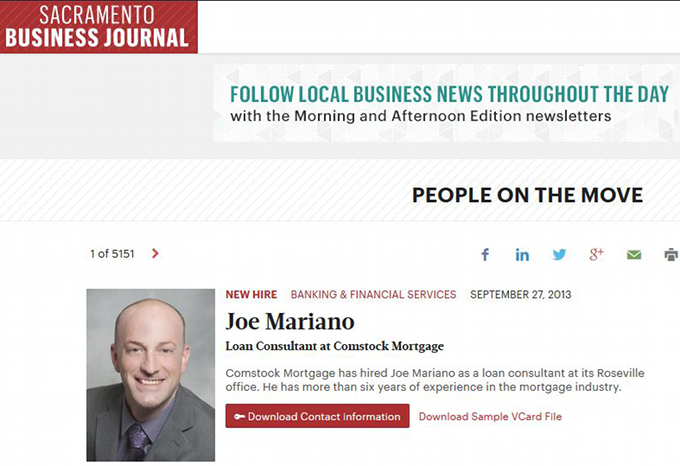 Yet, the very same image for “Jason Resch” is presented as “Joe Mariano” by Comstock Mortgage as its newly hired Loan Consultant. A slightly cropped version of “Marie Relado” appears as “Rebecca Almanza” as an Account Executive with Sargent Marketing. 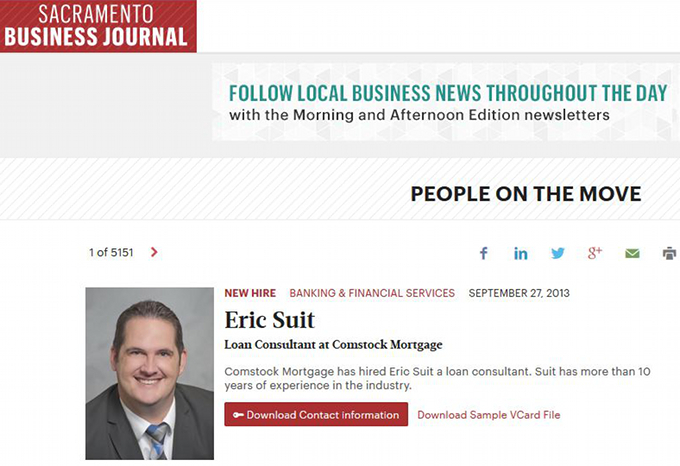 Finally, “Mark Compton” shows up as “Eric Suit” as another Loan Consultant hired by Comstock Mortgage. When you visit Sagent’s website at http://www.sagentmarketing.com and click on the “Who We Are” tab it’s plain to see Rebecca Almanza currently listed — with her picture, the same one used by Plaid Consulting, LLC — as one of Sagent’s Account Executives. Sagent is a real company operating out of Sacramento, California. It’s the DBA of ProPose LLC and listed by the California Department of General Services as Certified Small Business #38182. I imagine that Ms Rebecca Almanza would not be happy to know her image was appropriated for commercial purposes and she was never compensated. She might be thinking about suing Plaid Consulting, LLC under California law in a California court. 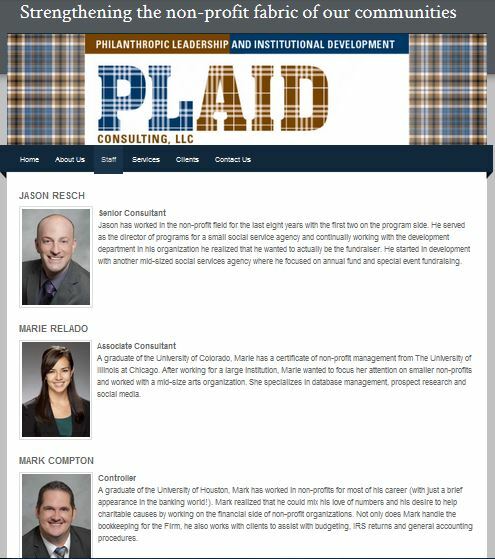 But Plaid Consulting, LLC — and any of its real owners — probably have a lot more to worry about: wire fraud under 18 U.S.C. section 1343. So Eric, if Sean Hammerle isn’t hiding out in a Costa Rican beach house by June 11, just show up to the Democrats Abroad meeting and demand that he produce ANY of his so-called “Staff.” If Sean is believed over you, well then: we live in interesting times.